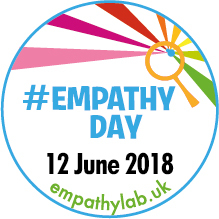 The 12th of June is a very special day: it’s Empathy Day 2018, and I’m very proud to be taking part in this year’s celebrations by visiting Kenilworth Primary School. Empathy Lab, which Empathy Day has sprung from, is a wonderful and important initiative. Empathy is a word to describe three very human qualities: the ability to understand how another person is feeling, to sympathise with them about that feeling and then to decide to do something to make their life better. But although empathy is a big part of how we connect as a society, it’s a quality that needs to be practised, especially early in life. Children can be taught to be more empathetic, in a very measurable way, and when they are every aspect of their educational and social attainment improves. Simply put, empathetic children do better in school, and they will go on to achieve more highly in adult life – it’s pretty obvious that schools should be focusing specifically on empathy in their educational strategies. But, of course, empathy is not really about giving benefits to specific groups of children, although that’s a wonderful outcome. It’s about benefiting society as a whole, and the events of the past few years have reminded us forcefully how important it is to have an empathetic society. It is sadly very easy to be hard-hearted, to see immigrants and members of other races and religions as less than yourself. Being empathetic is more difficult. It means opening yourself up to the truth that your way of life is not perfect and that you are not the most important person in the universe. Doing this mental work and then using it to effect real-world change can be painful, embarrassing and destabilising. But it is entirely necessary. Teaching empathy to children means that when they are faced with these challenges in later life, they will find them less confounding. I want the next generation of adults to find it easier to reach out across visible differences, to put themselves in another’s shoes and see how to improve the world not just for themselves but for others. Books, especially those with strong first-person narrators, can help this learning process by showing young readers the world through another person’s eyes. 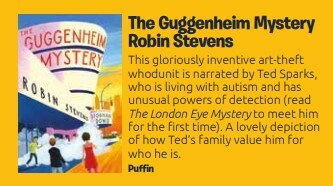 I am so proud that my book The Guggenheim Mystery has been chosen as one of 2018’s Read For Empathy titles. Writing it, and stepping into Ted’s unique and wonderful mind, was a process of empathy for me. Ted has what he refers to as a ‘syndrome’, a neuroatypical brain that is very different from the brains of the book’s other characters. I used what I do have in common with Ted (our love of mysteries, our fascination with facts, the anxiety that sometimes grips us both) to help bridge the gap between my way of seeing the world and his. It was a learning process for me both as a writer and as a person, and I hope my readers can experience either an empathetic voyage of discovery as Ted goes on his quest around New York City, or a sense of joy at seeing a neuroatypical person a little like themselves starring in a fun, exciting story. 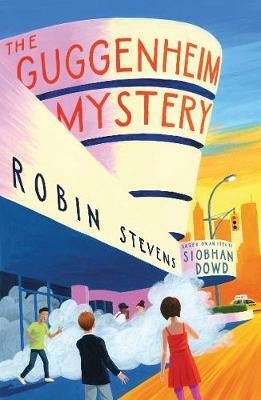 I loved writing The Guggenheim Mystery, and I am so excited to be talking about it, and about the important of empathy, during this year’s Empathy Day on June 12th. I hope that you’ll join in however you can – by promoting empathy among your friends and family, by talking about the stories, both fiction and non-fiction, that have made you more empathetic, or just by reading a very good book! Thank you for being part of this. 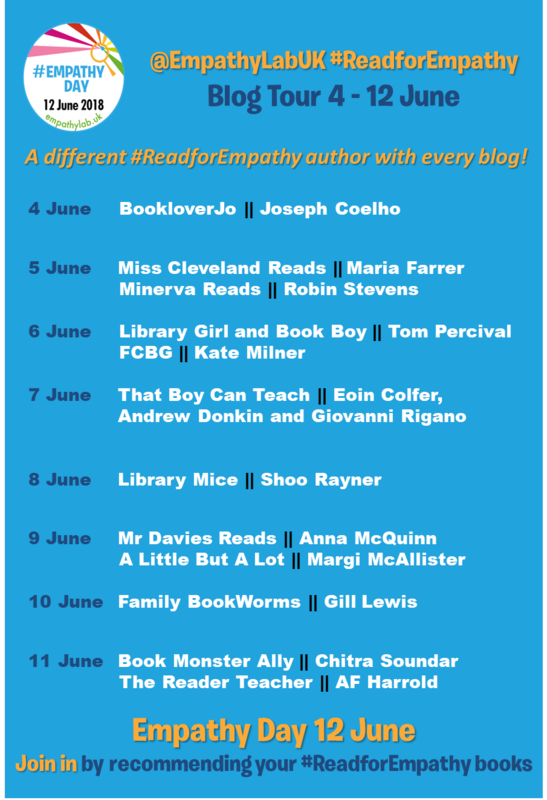 Please do join in on Empathy Day itself – 12 June – by sharing your #ReadforEmpathy books.